Park Lane Bathstone from Blockstone’s latest acquisition near Corsham has been installed by Grants on a small but significant façade in London. 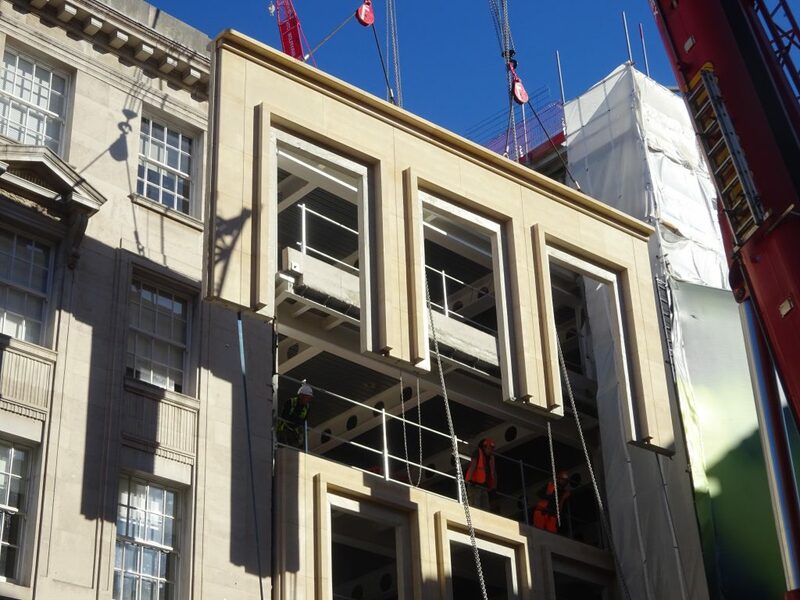 The Stone on Precast Panels are some of the longest able to be transported around London. New Bond Street is part of a larger complex being built in the Capital and Park Lane Bathstone was specified by LDS Architects. Park Lane is expanding significantly with new equipment ordered including 2 Manitou Telehandlers and a new Fantini Saw. The extraction capability will be more than doubling and it is now a serious option for many of the larger projects in Bathstone.